Show All Parts & Access. 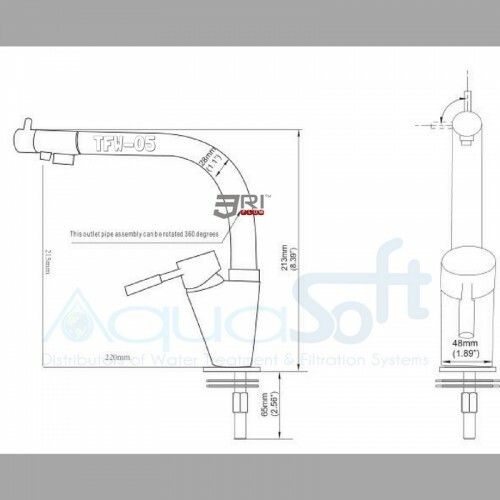 The Aquasoft™ Tri-flow Tap TFW-05 Model Kitchen Faucet with independent feeds. 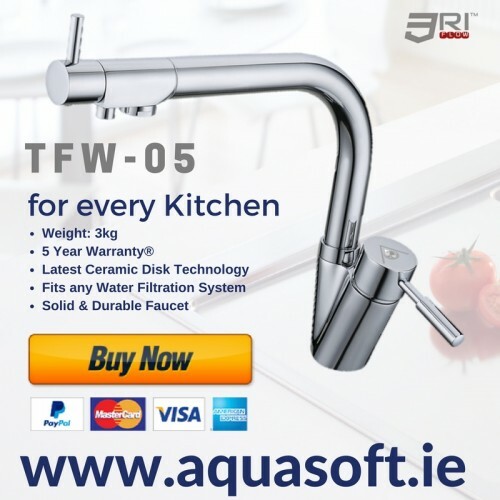 The Aquasoft™ Triflow TFW-05, 3 way Kitchen faucet is hand crafted to perfection connecting your hot, cold and filtered water through three independent feeds, no cross contamination occurs, in an all in one complete kitchen countertop water faucet.